Hobson Motorsport is delighted to announce it has taken delivery of two front running Nissan GT-R NISMO GT3 cars. The cars are set to make their 2017 Australian debut at the Liqui-Moly Bathurst 12-Hour next month, before heading full throttle into the endurance championship of the Australian GT series in May. Purchased from USA-based racing brand Always Evolving, the cars were shipped to Australia following an overhaul by Canada’s AIM Autosport. Their arrival down under comes hot on the heels of their participation in the stateside Pirelli World Challenge. Sydney-based privateer husband and wife team Brett and Laura Hobson are first time team owners, following former Dunlop Series competitor Brett’s varied and successful racing career. 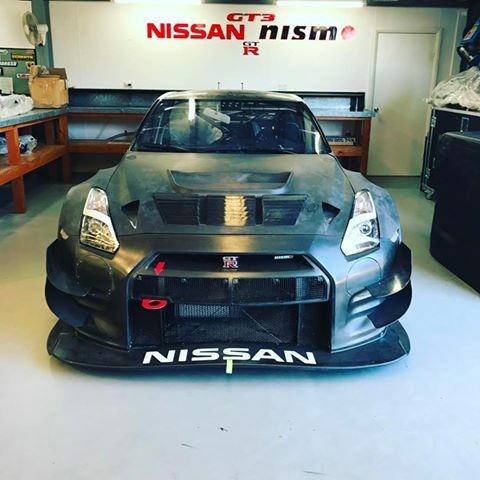 On the purchase Brett Hobson said, “We began our campaign to bring these two Nissan GT-R NISMO GT3’s permanently to Australia back in early 2016, so we’re delighted to finally get our hands on them! We’re now looking forward to showing the world exactly what these cars are capable of, right here on home soil. “Having previously been a rare sight on the Aussie circuit, we’re thrilled to have been able to give these cars a permanent home here in Australia, and believe we are bringing back an iconic slice of motor racing history,” Brett Hobson said. Hobson Motorsport has engaged renowned mechanical expertise in the shape of the Wall Racing team, who will be responsible for ensuring the cars remain continually primed and ready to perform at their optimum level. The driver line-up for Car 66 will include Brett Hobson alongside international names Fred Poordad and Erik Davis, both from the USA. Behind the wheel of Car 38 will be Australian Adrian Flack, Hong Kong-based Australian Daniel Bilski, and New Zealander Chris Pither. “We are delighted to be joined by five such high caliber drivers. With a plethora of expertise across multiple areas, we are confident of putting the most proficient team possible on the track. “With these world-leading drivers behind the wheels of our flagship performance cars, the 2017 Bathurst 12-Hour is sure to herald the beginning of an exciting new chapter in Hobson Motorsport’s history,” Brett Hobson said. The 2017 Liqui-Moly Bathurst 12 Hour will be held from 3 to 5 February. The race will be broadcast live on 7mate.